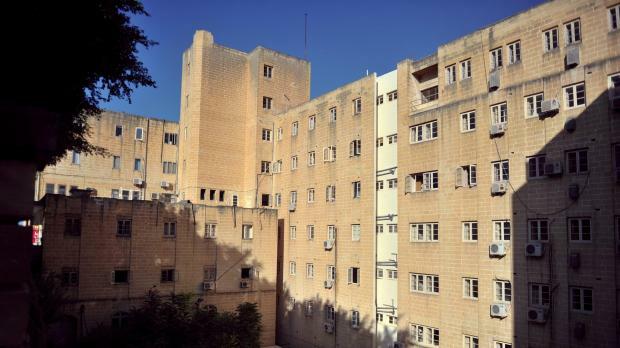 Chicken was classified as 'soft food' at the time that an elderly patient at Karin Grech Rehabilitation Hospital choked on his food but this was changed shortly after the tragic death, a court heard this afternoon. A nurse told the court how meals comprising chicken was deemed as safe for patients on a 'soft food diet' but this and several other internal procedures related to how food is handed out at the hospital changed after the death of John Darmanin. Mr Darmanin choked to death on a piece of chicken on March 7, 2012 after he went missing from his ward. He was later found face down in the ward bathroom and was given CPR for almost 30 minutes before he was pronounced dead. Katya Gauci, a nurse who was working at the hospital's ward at the time, was testifying in the compilation of evidence against chief nurse Maria Bondin, 57, from Paola, nursing aide Carol Bonnici, 55, from Siggiewi and nurse David Sant, 30, from Gharghur, who are pleading not guilty to Mr Darmanin's involuntary homicide. Ms Gauci testified that she was working on her allocated beds when Ms Bonnici asked her to help with Mr Darmanin as he could not be found and had tried to leave the ward in the past. She explained that Mr Sant had been responsible for Mr Darmanin but he had gone for his 45-minute break and had given her a handover, telling her his patients were "okay". "Maybe 10 minutes after he left, Carol Bonnici called for help as Mr Darmanin could not be found and we found him laying face down in the bathroom....John was unresponsive but there was no blood or vomit. His mouth was open so he was salivating," she said. Hospital staff helped carry him to his bed and she began chest compressions. She said she did not check his pulse but heard someone saying they could feel it. "We got the emergency trolley, administered oxygen and we performed CPR for 25 minutes before the ward doctor, who happened to be in the ward at the time, certified him dead," adding that she also gave instructions for Mr Darmanin's wife to be called in. Asked whether Mr Darmanin was supposed to be under strict supervision, Ms Gauci said that he had been under a “constant watch” order at Mater Dei Hospital but there was no such order when he was transferred to Karin Grech. Replying to questions by the defendants' defence lawyers, Ms Gauci said that the meal on which Mr Darmanin choked was chosen three days before but could not say who had chosen that specific meal. She added that no one had flagged the choice of chicken because this was classified as a 'soft food' and good for those patients on a soft food diet. Also, other procedures on how food is distributed had changed since then. Now, nurses give food to the patients in their care. Asked who changes such procedures, Ms Gauci said this was management's prerogative and that the three defendants were not part of the management team. Mr Darmanin's brother, Paul, also testified during today's sitting. He explained how one day, when he had gone to visit his brother, he had notice brussel sprouts in his plate. On that occasion, the nurse had removed them from his brother's mouth as he was not supposed to eat such items. Magistrate Anthony Vella ordered that Mr Darmanin's medical files as well as the ward's administrative files be exhibited in court. Police Inspector Geoffrey Azzopardi is prosecuting. Lawyers Lucio Sciriha, Steve Tonna Lowell and Kris Scicluna are appearing for the defence. Lawyer Stefano Filletti appeared parte civile for the Darmanin family.